For purposes of these Terms and Conditions, the terms "PickupMyThings.com”, “PickupMyThings”, “The Forrest Group”, "The Forrest Group, LLC”," "we, "us," "Company," and "our" refer to The Forrest Group, LLC a California limited liability corporation, and, if applicable, its subsidiaries and affiliates. By using this website, you consent to these Terms and Conditions. The Forrest Group, LLC owns all copyrights, trademarks, service marks, trade names related to our Company Information, which is proprietary to The Forrest Group, LLC. 2. Definition of the Application and the Service PICK UP MY THINGS through the Application (which is downloaded and installed by you) provides means to obtain delivery services offered by third party drivers (Delivery Drivers), upon your request from your mobile device. All services provided to you when using the Application are herein referred to as the "Service". The Application allows you to send a request for the delivery service to a Delivery Driver. You will specify the specifics (Pick-up and delivery address, type of package you need the delivery for, etc) of the delivery needs when submitting your request. Delivery Driver has sole and complete discretion to accept or reject each request for the delivery service. If the Delivery Driver accepts the request, the Application will provide a notification to you with details (Driver's name, car information, license plate number, rating and contact information) regarding your Delivery Driver. The application will allow you to view the location of the Delivery Driver on the map in real time. Please note that the Company doesn't provide delivery, logistics or courier services, and PICK UP MY THINGS is not a delivery carrier. It's completely up to the third party Delivery Driver to offer delivery services, which maybe requested using the Application or the Service. the Company acts like an intermediary between You and Delivery Driver and does not and does not intend to provide delivery or courier services or act in any way as a delivery or courier and has no responsibility or liability for any Delivery Driver. By using the Application or the Service, you expressly represent and warrant that you legally entitled to enter to this Agreement, in addition you agree, represent and warrant that: - You are at least 18 years old. - You have the right, authority and capacity to enter into this Agreement and to abide by all of the terms and conditions of this Agreement. - You provided information to the Company, which is accurate and complete. The Company is entitled at all times to verify the information and you have provided and refuse the Service without providing reasons. - You agree to comply with all applicable laws of the location in which you are physically present while using the Application and the Service. - You gain access to the Application using authorized means. - You will not authorize others to use your account. - You will only use the Application or the Service for lawful purposes; you will not use the Application or the Service for sending or storing any unlawful material or for fraudulent purposes. - You will not use the Application or the Service to cause nuisance, annoyance or inconvenience. - You will not intentionally try to harm the Application in any way whatsoever. - You will not copy, or distribute the application or other content without written permission from the Company. - You will only use the Application for your own use and will not resell it to a third party. - You will keep secure and confidential your account password or any identification we provide you which allows access to the Application. - You will not use PICK UP MY THINGS for delivery of any illegal drugs, drugs that you do not have prescription for or any illegal substances - You will not use PICK UP MY THINGS for delivery of any stolen goods or merchandize - You will not use PICK UP MY THINGS for delivery of any weapons, harmful chemicals or explosive substances - Shipping hazardous materials through PICK UP MY THINGS is not permitted. You are not allowed to use the service to ship hazardous materials and you will accept all liability for any loss, damage or any penalties resulting from your non-compliance herewith. If you are a Delivery Driver, you are an independent contractor and you are not an employee, owner, partner or agent of the Company and that there is no employment agreement between you and the Company. Any Delivery Driver agree, represent and warrant that: - Delivery Driver is at least 18 years of age. - Delivery Driver maintains a valid driver's license. - Delivery Driver has the legal right to operate the vehicle which Delivery Driver utilizes when accepting Delivery Requests, and such vehicle is in good operating condition and meets the industry safety standards and all applicable state department of motor vehicle standards for a vehicle of its kind. - Delivery Driver holds insurance covering the vehicle which Delivery Driver uses when accepting Delivery Requests. - Delivery Driver holds a liability insurance for the operation of the Delivery Driver's vehicle to cover any anticipated losses in relationship to the Delivery Services. - Delivery Driver will be solely responsible for any and all liability which results from or is alleged as a result of the operation of the vehicle which Delivery Driver utilizes to provide Delivery Services, including, but not limited to personal injuries, death and property damages. - In the event of an accident the Delivery Driver will be solely responsible for compliance with any applicable department of motor vehicles requirements, and for all necessary contacts with insurance carrier. - Delivery Driver will obey all local and other applicable laws related to the matters set forth herein, and will be solely responsible for any violations of such laws. - Delivery Driver is not a mover and under no circumstances is required to lift or otherwise move any item that he/she is delivering. If a Delivery Driver lifts or otherwise moves an item that he/she is delivering the Delivery Driver does so on his/her own risk and PICK UP MY THINGS has no liability to either party for any claim, loss or damage related thereto. - Delivery Driver will not make any misrepresentation regarding PICK UP MY THINGS or a status as a Driver, offer or provide delivery service for profit, as a delivery or carrier of any sort, charge for delivery services or otherwise seek non-voluntary compensation from the users, or engage in any other activity in a manner that is inconsistent with the obligations under this Agreement. - Delivery Driver will only accept Delivery Services using the vehicle that has been reported to PICK UP MY THINGS. - Delivery Driver will not discriminate or harass anyone on the basis of race, national origin, religion, gender, gender identity, physical or mental disability, medical condition, marital status, age or sexual orientation. - Delivery Driver is medically fit to drive and perform delivery related services in accordance with applicable law. - You fully consent to background (Criminal, DMV Driving Records, etc) checks to assure safety. 6. Payment Terms The use of the Application is free of charge, subject to change without notice in the Company sole discretion. In case of a fee introduction the Company shall inform you accordingly. The rates that apply for the delivery services by the Delivery Drivers can be found on the Website under Fees Chart and on the Application. You agree to pay for the delivery services you purchase from the Delivery Drivers, and PICK UP MY THINGS may charge your credit card provided by you during registration for the Service. You are responsible for timely payment of all fees and maintaining valid credit card on the account at all times. Any payment made is non-refundable. 7. Intellectual Property All intellectual property rights on the Application and on the Service shall be owned by PICK UP MY THINGS absolutely and in their entirety, including any of your suggestion, comment, question, idea or feedback provided by you related to the Application, the Website or the Service. 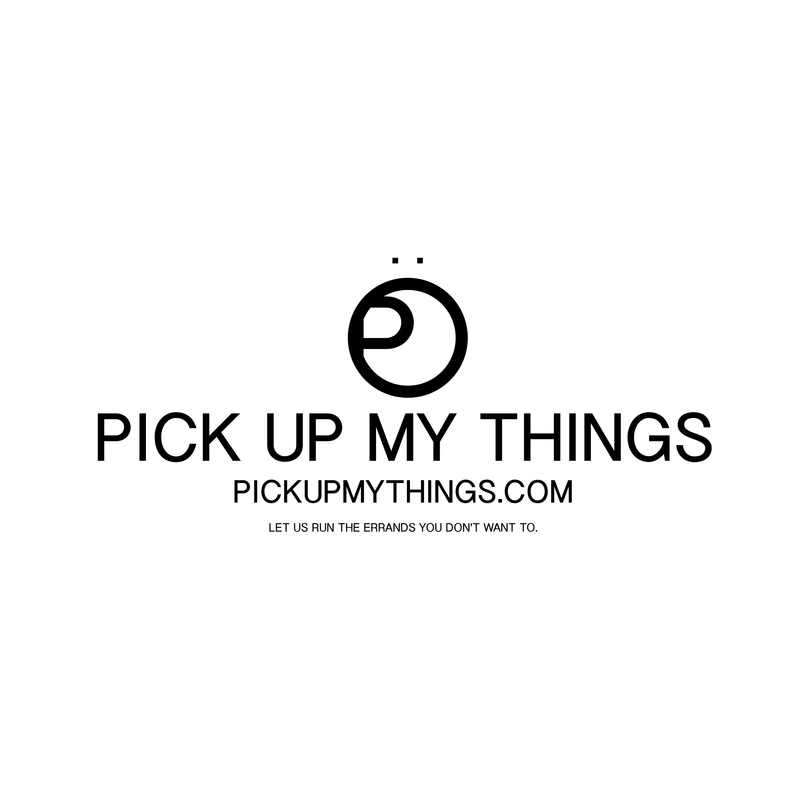 PICK UP MY THINGS's name, logo, names or products associated with the Application, the Website and the Service are trademarks of the PICK UP MY THINGS and cannot be used without Company's written consent. 8. Indemnification You agree that you will defend, indemnity and hold PICK UP MY THINGS Inc and our officers, employees, directors, agents harmless from and against any and all claims, damages, losses, liabilities and expenses (including reasonable attorney's fees) arising out of or related to your breach of this Agreement; or your violation of any law or the rights of a third party including, without limitation, Delivery Drivers, users requesting the delivery service; or your use or inappropriate use of the Application or the Service; or your operation of a motor vehicle including your provision of delivery service to users requesting the service; or your dispute with one or more Users of the Application or Service. 9. Limitation of Liability PICK UP MY THINGS shall not be liable for any damages resulting from the use or inability to use the Application or the Website or any damages resulting from electronic means of communication with the Application or Internet delays. PICK UP MY THINGS will reasonably keep the Website and the Application and its content up to date but doesn't guarantee that there are no errors, defects, malware or viruses or that the Application and the Website is up to date and accurate. In no event will PICK UP MY THINGS, our officers, directors, employees or agents, be liable to you for any incidental, indirect, or consequential damages related to or arising out of the Application or Service or this Agreement. In no event PICK UP MY THINGS aggregate liability shall exceed an amount of $250. The quality of Delivery Service requested through our Application is entirely the responsibility of the Delivery Driver who provides delivery services to you. Thus PICK UP MY THINGS under no circumstances accepts liability related to or arising out of negligence of the Delivery Driver. PICK UP MY THINGS may but has no responsibility to evaluate potential Delivery Drivers or users therefore you understand and accept that PICK UP MY THINGS has no control over the actions of the Delivery Drivers and users. Delivery Drivers and Users use the Application and Service at their own risk. 10. Agreement to Arbitrate Any Dispute you may bring against PICK UP MY THINGS, or any of its parents, subsidiaries, officers, directors, or employees, without limitation, or which PICK UP MY THINGS Inc may bring against me, no matter how characterized, pleaded or styled, shall be resolved by binding arbitration, conducted by the American Arbitration Association, under its Consumer Rules, and decided by a single arbitrator. The arbitrator will decide the case pursuant to the Federal Arbitration Act, and under the laws of the state where this Agreement was executed. Any dispute over the interpretation, enforceability or scope of this Arbitration Agreement shall be decided by the Arbitrator, and not by a Court. You explicitly waive any right you may have to a jury trial, and understand that the decision of the arbitrator will be binding, and not merely advisory. Neither PICK UP MY THINGS nor I shall file any lawsuit against the other in any court and agree that any suit filed in violation of this provision shall be promptly dismissed by the court in favor of arbitration. Further, you agree that any dispute or claim you may bring shall be brought solely in your individual capacity, and not as a plaintiff or class member in any purported class action, representative proceeding, mass action or consolidated action. 11. Term and Termination The term of this agreement is open ended. You are able to terminate the Agreement at any time by uninstalling the Application from your smart phone. You can close your account at any time by sending an email to support with such a request. PICK UP MY THINGS may terminate this Agreement and close your account at any time, for any reason, without explanation, upon sending an email notifying you of such action. 13. License Grant and Restrictions Subject to the terms and conditions of this Agreement, PICK UP MY THINGS grants you a limited non-exclusive, non-transferable license to download and install a copy of the Application on a single mobile device that you own or control and to run such copy of the Application solely for your own personal use. You shall not: - License, sublicense, sell, resell, assign, distribute or otherwise make available to any third party the Service or the Application in any way. - Modify or make derivative works based upon the Service or the Application. - Create Internet "links" to the Service or "frame" or "mirror" any Application on any other server or wireless or Internet-based device. -Reverse engineer the Application. - Send spam. 14. Communications You agree to accept and consent to receive email and text messages from PICK UP MY THINGS. Standard text messaging charges may apply. If you do not wish to receive email and text messages, please do not use the Application. 15. Estimated time arrival Estimated time provided is an estimate only and is not a stated delivery commitment time. It may or may not take into account any unexpected events which may occur on the way to the destination. Hence any information given regarding the estimated time of arrival and the time of expected events are estimates only, based on the information available at the time of the inquiry and are subject to change without notice. We encourage you to share your comments and questions with us. Please note, however, that we assume no responsibility for reviewing unsolicited ideas for our business (such as product or advertising ideas) and will not incur any liability as a result of any similarities that may appear in future The Forrest Group, LLC's offerings. Any and all rights to materials and ideas submitted to us become our exclusive property. We deliver anything. Are you too busy and wish you had more free time to run all your errands? Well, PICK UP MY THINGS will run all those errands that you don't want to run. We have over 160,000 drivers in our network to serve your every need. You can live track your delivery via email, text, or live GPS on your smartphone or website. We can pick up your groceries, your dry cleaning, pick up packages, deliver just about whatever you can think of. You can deliver anything that fits our size and restriction guidelines. Couriers on bikes can deliver items up to 30 pounds and couriers driving cars can deliver items up to 50 pounds. Trust and safety are our top priority. All driver must undergo extensive background and identity checks, and each delivery is insured for property damages. Always have peace of mind.